Eclipse had been running ads for this book since at least 1983, but the edition I have is from 1985, but makes no mention of it being a revised edition. On the other hand, Eclipse had a tendency to run ads for books long before they were completed, or were never completed (viz. the aborted Ditko book earlier). Eclipse mostly stayed out of this aspect of comics publishing, and only published one other book in this general area: Will Eisner’s book on cartooning. 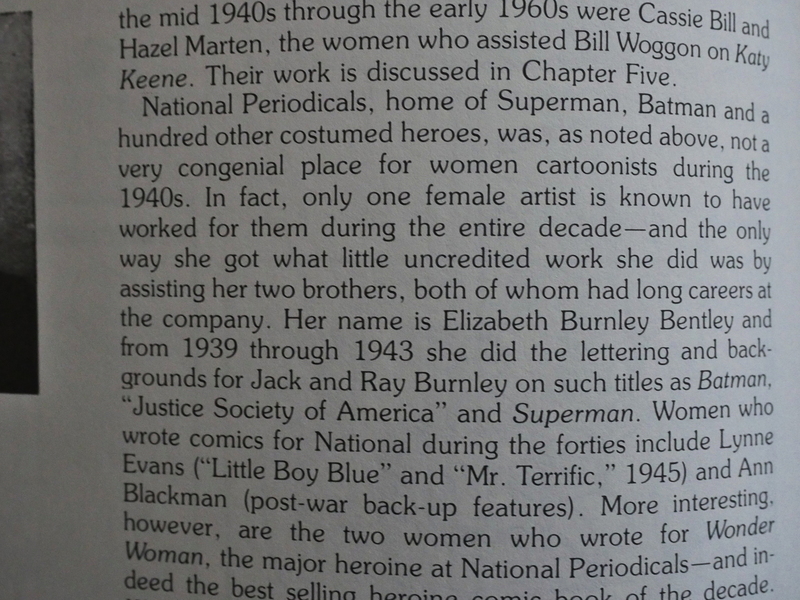 Robbins and Yronwode explain in the introduction why they wrote this book (which gives a broad overview of women who worked in American comics), and it’s anger an annoyance. 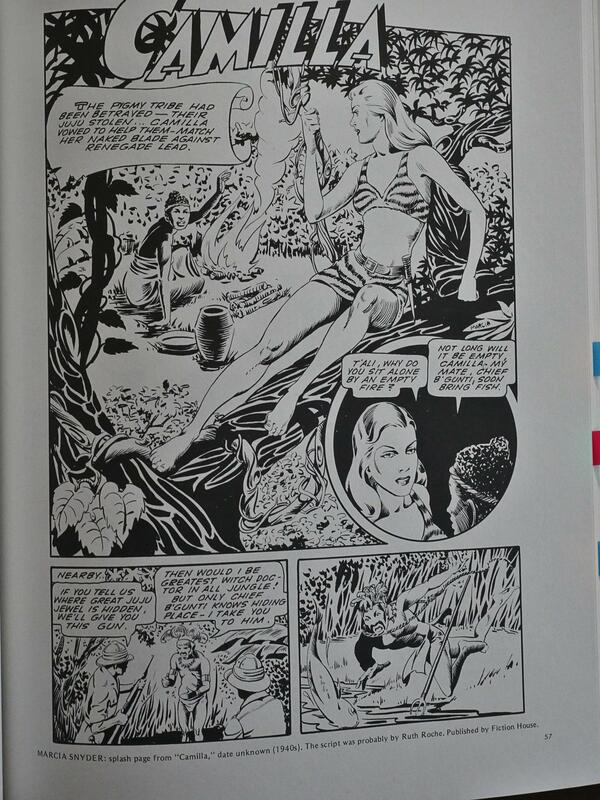 Which are perfectly valid reasons: Jerry Robinson devoted half a page of his comics to female cartoonists, which is something of an insult. 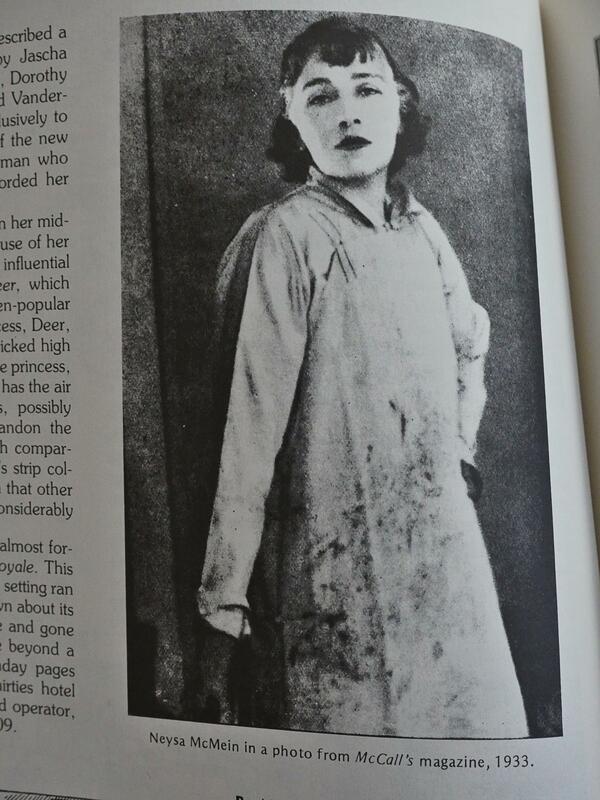 So what we get here are brief biographical sketches of female artists (and writers) along with some rather cool artwork. The authors cover such a great number of artists that there’s no room for any in-depth analysis of anybody’s careers, but it’s a breezy, interesting read. They also pick a lot of fun and handsome artwork. We also get some glamour shots of the artists. Well, OK, even if that’s a bib, it’s still a great 30s pose. There’s perhaps two criticisms to be levelled at the book: First of all, the organisation of the text and the accompanying illustrations is frustrating. 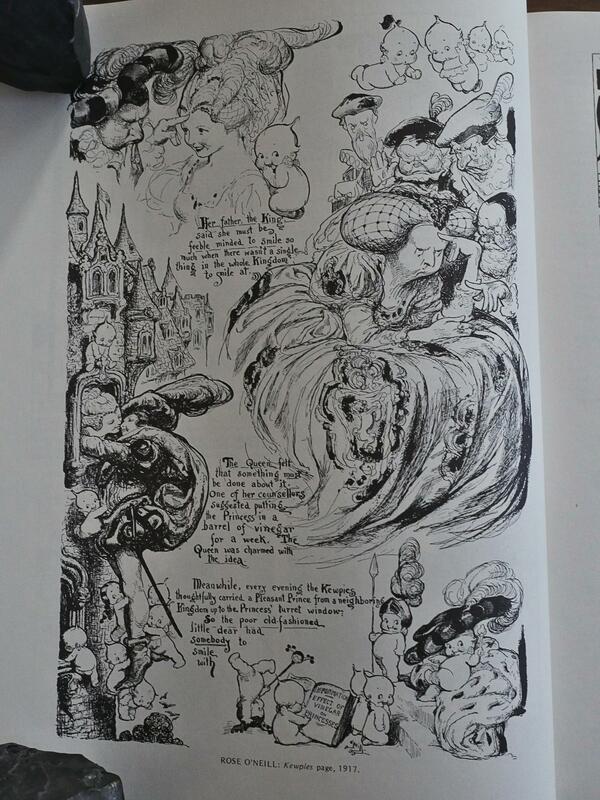 Constantly throughout the book, I’m reading a description of an artist, and then I look around the page to see an example, but all I find are different artists. So I flip to the next page, no; the previous page… YES! The other thing is that there are no footnotes. It would have been nice to know where the authors sourced their facts and anecdotes from. If this had been a Wikipedia page, there’d be a [CITATION NEEDED] at least once per paragraph. 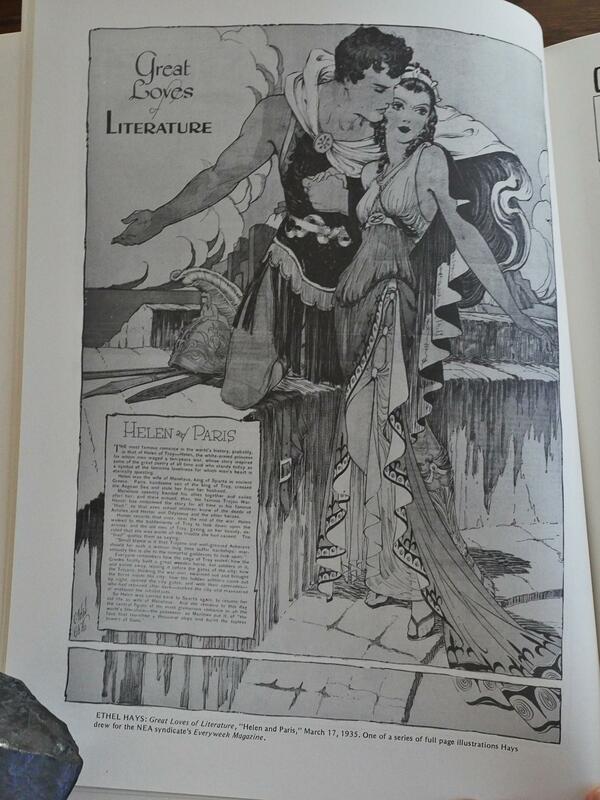 On the other hand, this isn’t a scholarly book. It’s here to enlighten and entertain, which it does. DC was DC even before it was DC, apparently. 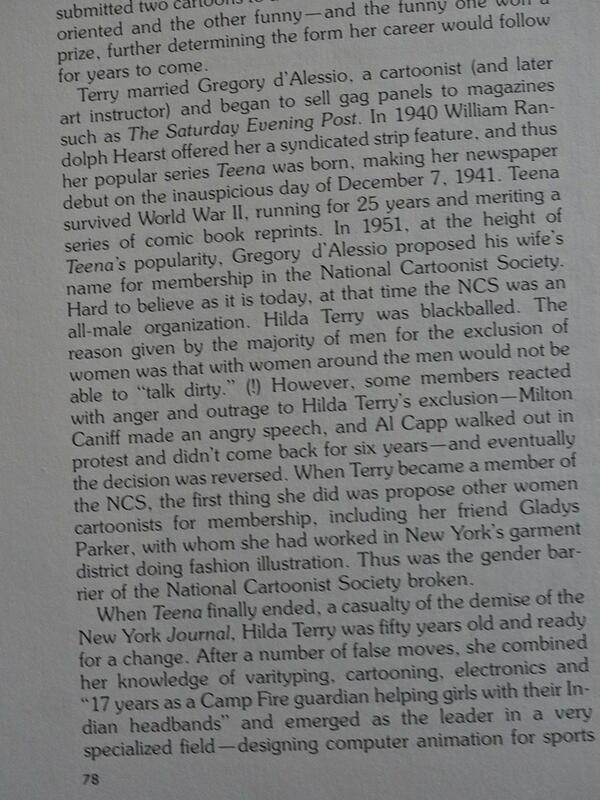 This little titbit was amusing: Al Capp is infamously reactionary, but he was so outraged that the National Cartoonist Society wouldn’t let Hilda Terry in that he walked out and boycotted the organisation for six years. Anyway! Fun read, and well made. But what did the critics say? Let’s search the Comics Journal archive! 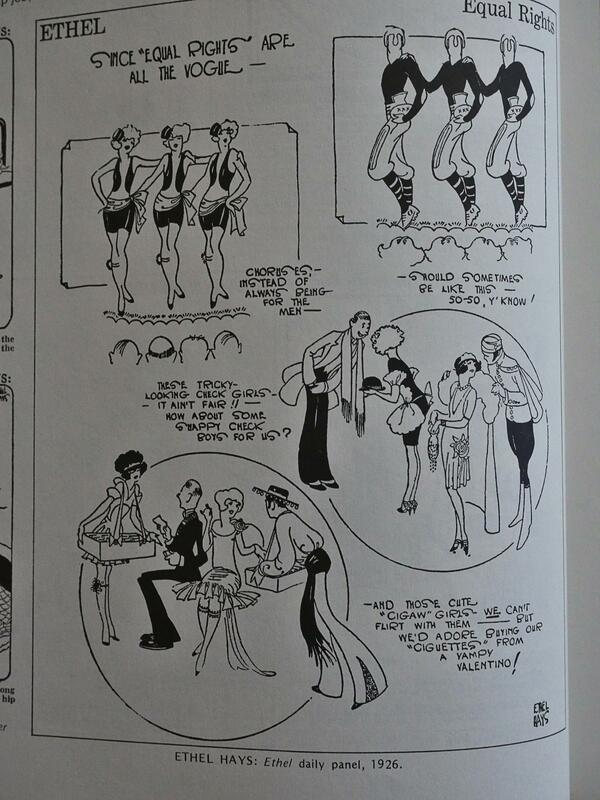 The list is long but it includes few women cartoonists of the stature of Winsor McCay, Sidney Smith, George McManus, E.C. 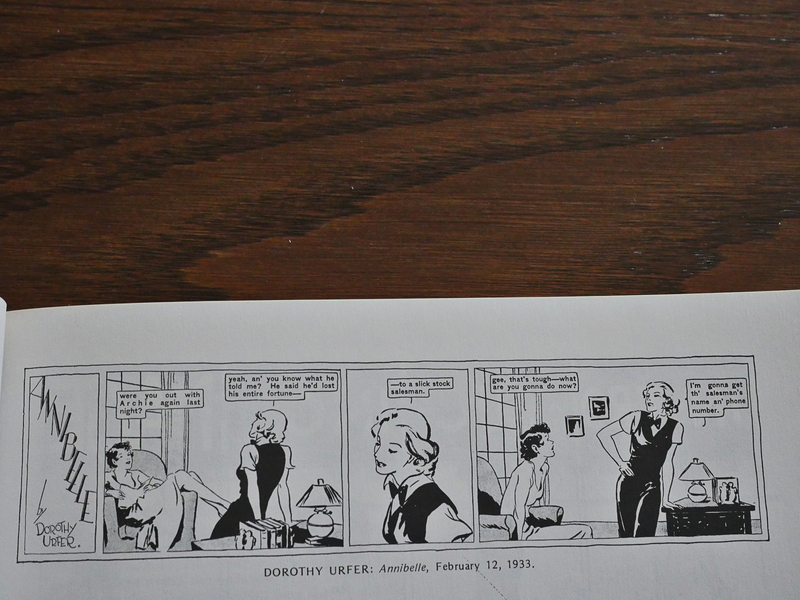 Segar, Harold Gray, Chester Gould, Miltoh Caniff, Al Capp, Alex Raymond, Harold Foster, Will Eisner, Walt Kelly, Charles Schulz—cartoonists whose worked shaped the medium or whose creations became part of the American culture. 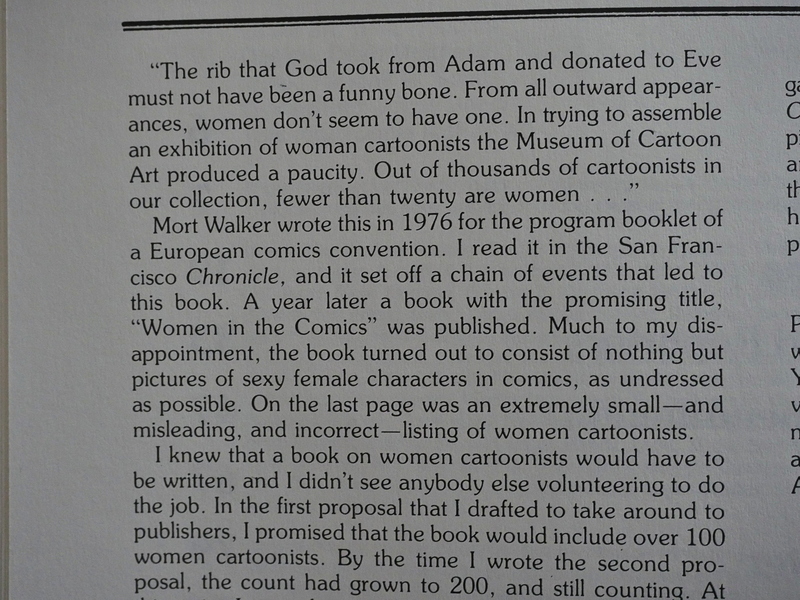 He then goes on to concede that there were some great female cartoonists, and the rest of the review he’s quite complimentary to the book, which is not what I had expected at all. 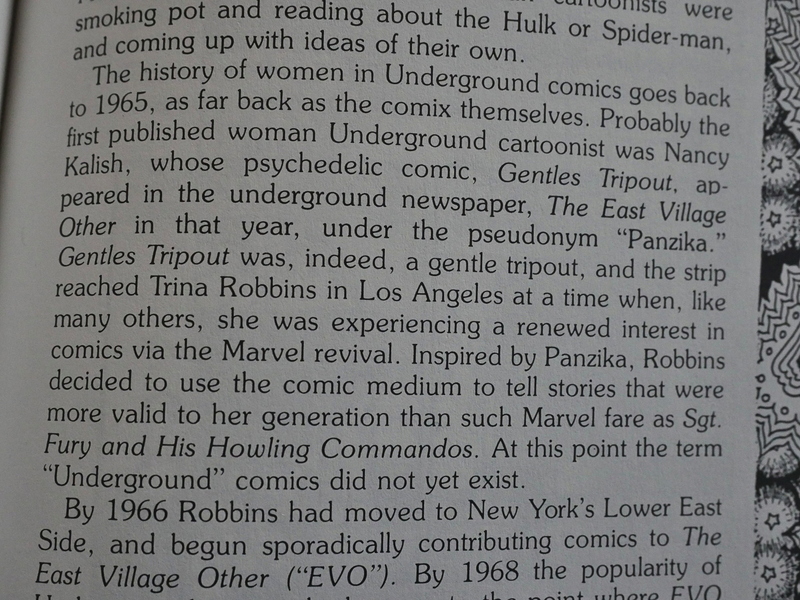 I had kinda expected some of the older comics historians to be outraged at the project, but perhaps they wisely kept their traps shut. 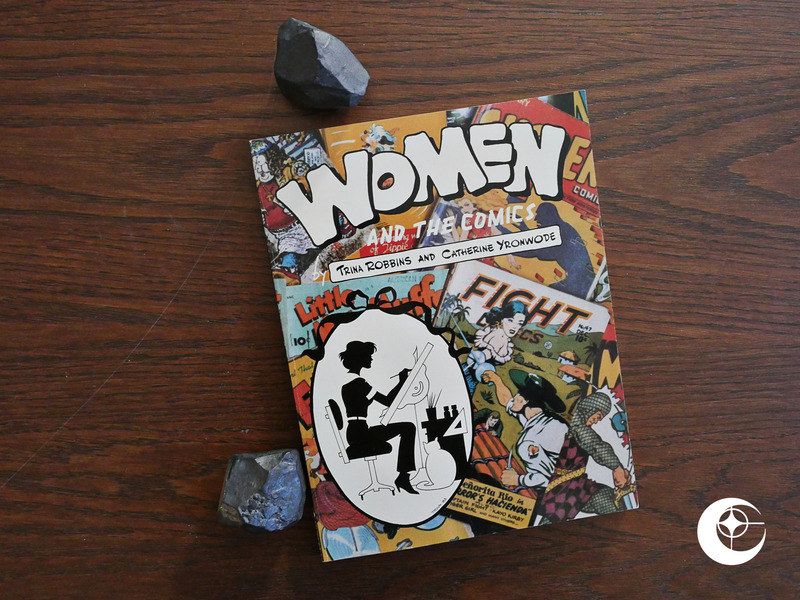 The book is apparently long out of print, but Robbins did a solo book a year later called A Century of Women Cartoonists, which features a more selective and less exhaustive selection of artists.